What does your week look like? No time for your family, no time for yourself, no time just to breathe? Maybe it’s time to take a break. Join us this Sunday morning for our worship service. Meet new people, enjoy a nice cup of coffee and become part of a spiritual community. Renew your spirit! Holy Trinity is a church where everyone is welcome to come and to grow in faith, understanding, gratitude, service and peace. We are a friendly bunch and we will try our best to answer any questions you have about our church, our town or our community. To find out what we do, go to the right hand column under “Of Interest” and click on the “Activities/Ministries” link. You’ll find a list of activities and the people to contact. Or look through the other pages of this website to find even more information. The mission of Holy Trinity Church, under Jesus Christ, is to further the spiritual growth of all; love, minister to, and affirm one another; and be a force for God in our community. All Christians who hunger for God are welcome at our communion table. Church School runs from September to May with different programs for each level. Please go to our What Kids Can Expect to find out more. To register, call the parish office at 624-4759. Church school is open to all children, whether they are members of Holy Trinity or not. For more information, contact Nikki Johnston at nikki36@cox.net. All are welcome to join us! The shop is open Thursdays and Saturdays, 9:00 am to 2:00 pm. Come see our wide array of gently used merchandise! And check us out on Facebook! Celebrating our 30th anniversary this year! If you’re in the planning stages of a wedding, Holy Trinity can provide the perfect place. Beautiful setting, large parish hall, efficient kitchen…what more could you need? See our brochure by clicking on the link in the right hand column on this page. And congratulations! Fr. John will facilitate a Lenten Series of 4 classes. This class will be a 40-Day Devotional based upon the 7 practices of our Presiding Bishop Michael Curry who calls us to place Jesus at the center of our lives and to embrace evangelism as an essential part of our faith. Fr. John will begin a Lenten series based upon Mary Bea Sullivan’s book, Living the Way of Love, beginning Wednesdays, March 20 & March 27 & April 3 and Thursday, April 11 from 6:30 pm-8:00 pm. A signup sheet is posted in the parish hall. If you are planning to attend the classes, please signup as soon as possible so that Fr. John may purchase the books ahead of time. During Lent, Holy Trinity Church will pray the 14 Stations of the Cross every Friday at 3 pm. Noon to 2pm – Beginning at Holy Trinity Church combined church youth groups will lead the 14 Stations of the Cross through Tiverton. All ages are warmly welcome. Light luncheon to follow in parish hall. Ashes & Coffee: Holy Trinity Church will begin the solemn Lenten season with Ashes and Coffee to Go in the parking lot of Holy Trinity Church from 6am to 10am. Gamblers’ Meeting: Holy Trinity Church is host to a weekly gamblers’ meeting. Meetings take place Friday evenings, 7pm – 8:30pm in the parish hall. This outreach ministry is for people addicted to gambling and the catastrophic fallout impacting the family. Fr. John is proud to say that this gamblers’ meeting is the church’s response to a casino in our back yard. In addition to the Gamblers Anonymous, the Rhode Island Lottery’s Responsible Play Program includes the funding and oversight of a 24 hour helpline. Problem Gambling Services has the ability to respond to those in crisis 24/7 who call the 1-877-942-6253 helpline. Holy Trinity Church has registered with AmazonSmile. At no cost to you, your purchases can generate contributions to Holy Trinity Church. In order to browse or shop the AmazonSmile website, customers must first select a charitable organization. The ministry at Church Beyond the Walls which provides weekly Saturday worship services and a light meal to the homeless in Burnside Park in Providence are in need of donations of tuna fish, mayonnaise, (smooth) peanut butter and jelly for the making of the sandwiches that are served. Fr John leads this service about once a month and will bring the supplies to Providence. Thank you for your support of this important ministry. Altar Guild – The Altar Guild is the behind-the-scenes backbone of the worship services, maintaining the linens, supplies, polishing the brass, arranging the flowers and setting up the altar. Contact the parish office at 624-4759. Trinity Trader – The Trader is the signature ministry of Holy Trinity. We provide gently used clothing, jewelry, accessories, shoes, books along with many household treasures. Stop by during store hours, Thursdays and Saturdays, 9:00 am to 2:00 pm. There’s always something to help out with! Choir – Do you sing in the shower? Why don’t you share that virtuoso voice with our choir! Contact our organist and choir director, Spencer Sacco, at 401/474-1759 to find out more. Coffee Hour – Our ministry of hospitality, both to one another and to our visitors, is an important part of every Sunday. You are invited to host a coffee hour – it’s not hard! And if you aren’t comfortable making coffee, Fr John will make it for you! The bright yellow sign-up sheet (and information on How-To) is on the bulletin board in the parish hall. Serving Others – Holy Trinity helps to serve the evening meal at the New Bedford Salvation Army soup kitchen four times a year. It’s not a hard job but very rewarding. The sign up sheet with dates and directions are on the bulletin board at the back of the church. Contact the parish office with any questions. Church Beyond the Walls – Church Beyond the Walls is a homeless ministry in Providence. Fr John invites anyone who would like to come and worship with the CBTW to come with him on the first Saturday of the month. Fr John leaves the church parking lot at 1:00 pm for Burnside Park. The service begins at 2:00 and finishes around 3:00. Join us in worship and fellowship! Feeding the Hungry – Holy Trinity continues to give year-round support (including the vegetables grown in our garden) to the community food pantry located at the Old Stone Baptist Church in Tiverton. Perishable foods may be dropped off in the basket in the entry of the church. Please remember that items beyond the expiration date on the package cannot be accepted. Grocery Receipts – Save your grocery receipts from both Lees and Clements Markets and drop them in the baskets in the church entry or in the lower level hallway. The markets donate one percent of the grocery receipt totals. It’s something that everyone can do! Thanks to everyone who keeps bringing their receipts from Lees and Clements Markets. Holy Trinity just received a check from Clements for $162.68. These markets donate one percent of the grocery receipts that are collected, so if you shop at one of these stores, save your receipts and drop them in the basket in the church entry. Thank you! If you are not giving electronically, please consider a donation through our website. No more check writing! But it provides a constant flow of revenue for the church, even when you go on vacation. It’s safe, secure and can be scheduled when it’s convenient for you. Go to the menu at the top and click on the donating tab. It will walk you through a quick and easy process. Thank you! In the Victorian Parlor each Sunday morning at 9am Fr. John will lead an adult education class based on the timeless question “What is God calling me to do?” There will be a gospel reading of the day and reflections of the participants. No sign up is required. Come join us for this opportunity to learn & grow in the gospel. Every Wednesday afternoon at 12 PM, there is a healing service and celebration of the Holy Eucharist in the church. The service includes a laying on of hands with prayers for healing in body, mind and spirit as well as anointing and blessing. 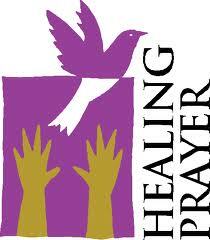 Prayer requests for the healing service may be submitted on a weekly basis. Simply fill out a prayer request form and place it in the basket at the usher’s table. Make a date with God in the middle of the week.